Roots is an on-going collaboration between Rebecca Goodine and Enric Llagostera, started in January 2018. 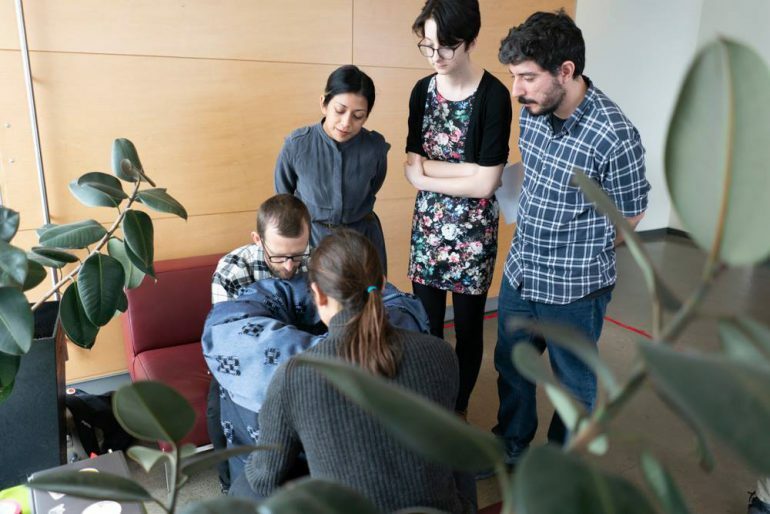 It is a research-creation game design project that actively involves intergenerational players in an experience that cultivates each other’s capabilities for care within a larger community. 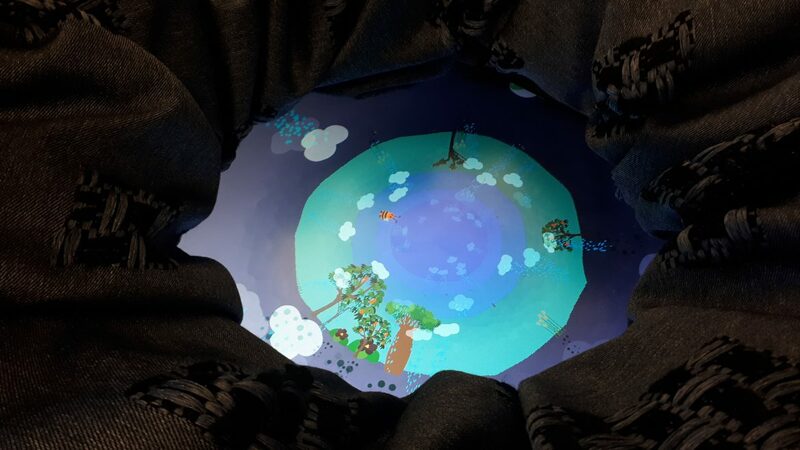 Gameplay is both haptic and visual in nature, with players working together to grow an onscreen digital garden through an alternative controller resembling an underground roots system. 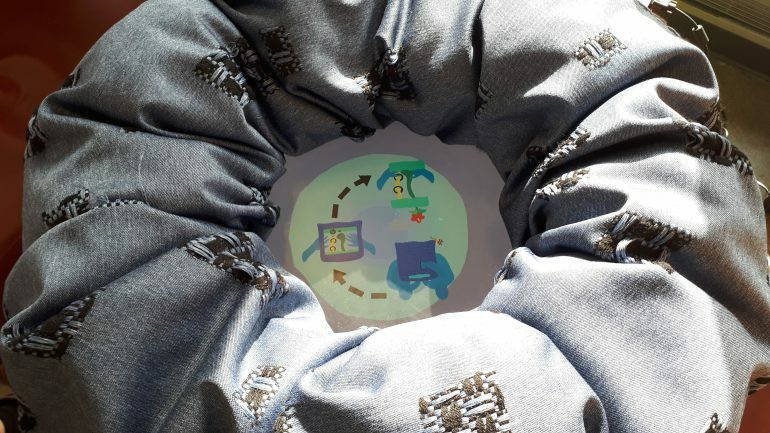 In the current Roots “well” design, players put their hands inside a soft padded well through holes in its sides. 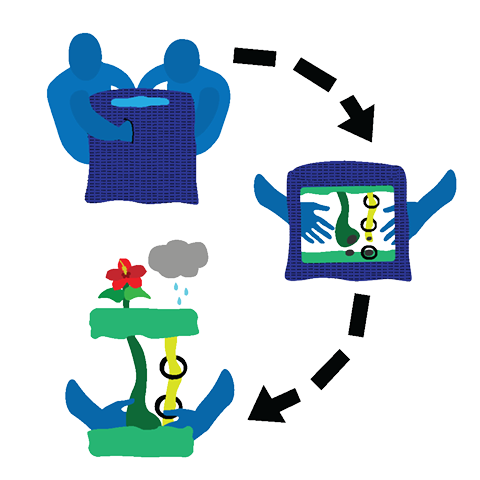 The game’s digital garden inside the top of the well can be grown and watered by connecting roots within the well’s interior to a circuit based ground cushion. Each root has a different feel, texture and weight, with softness and tactility acting as invitations into new and unfamiliar learning spaces. When moving below the surface of Roots, care as discovery process becomes emerges through play; where hands reaching blindly for soft control roots instead are likely to stumble into the hand of another player. 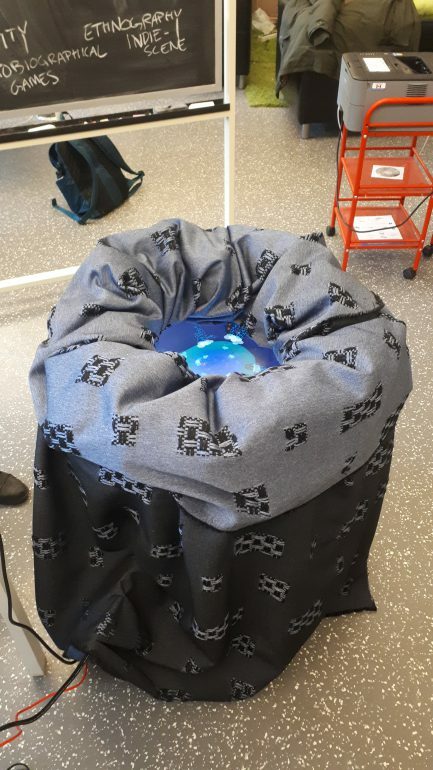 Prototype presentation in April 2018. Top view of the well.